Feral Pigeons roosting to the flanges of the towers structural steel work and within the motor housings. Removal of fouling contamination and the installation of 50mm polyethylene netting totally enclosing the process tower. 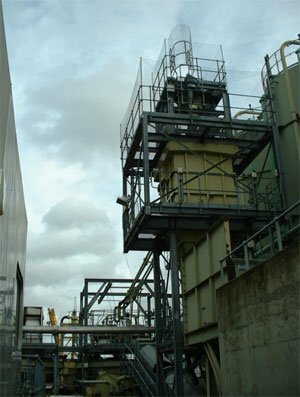 Netting to the platform levels were elevated by means of up stands and access was provided by installation of galvanised weld mesh door to the top of the cat ladder. Combination of a 21m self-propelled hoist and rope access techniques.